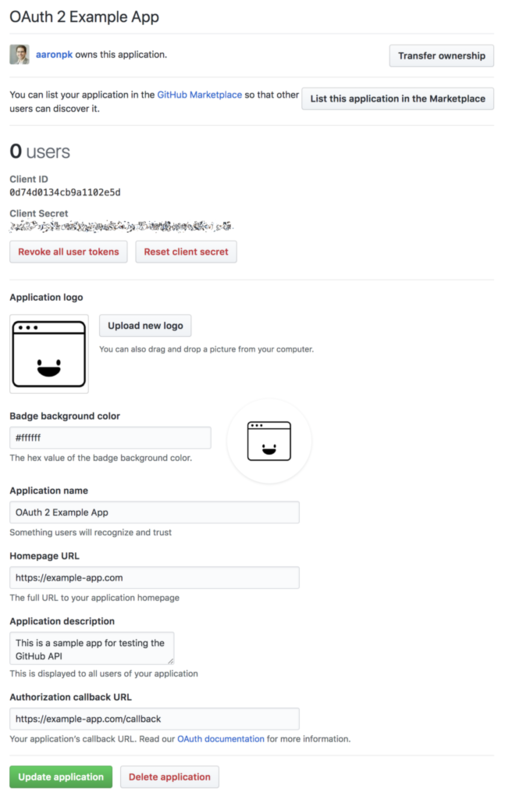 Before we can begin, we’ll need to create an application on GitHub in order to get a client ID and client secret. On GitHub.com, from the “Settings” page, click on the “Developer Settings” link in the sidebar. You will end up on https://github.com/settings/developers. 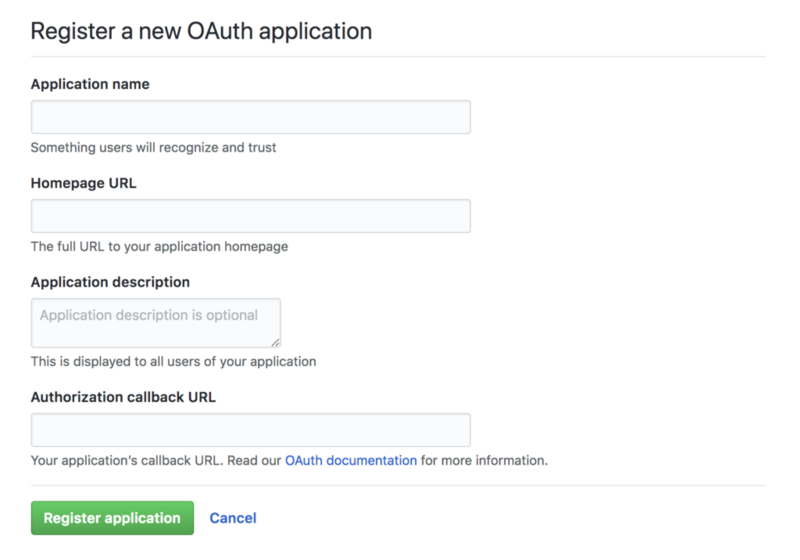 From there, click “New OAuth App” and you will be presented with a short form, as shown below. Fill out the required information, including the callback URL. If you are developing an application locally, you’ll have to use a local address for the callback URL. Since GitHub allows only one registered callback URL per application, it is useful to create two applications, one for development, and a separate one for production. After completing this form, you’ll be taken to a page where you can see the client ID and secret issued to your application, shown below.